Happy Tuesday! Today I am excited to be helping Altenew celebrate their 3rd Anniversary! Hard to believe that three years has already gone by… I remember when Altenew first came onto the scene. 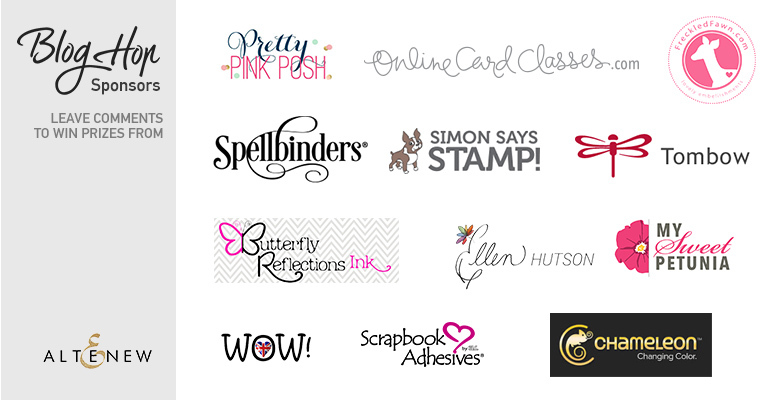 From the beginning they’ve given us tons of fabulous products to work with and even more heart into the crafting community. 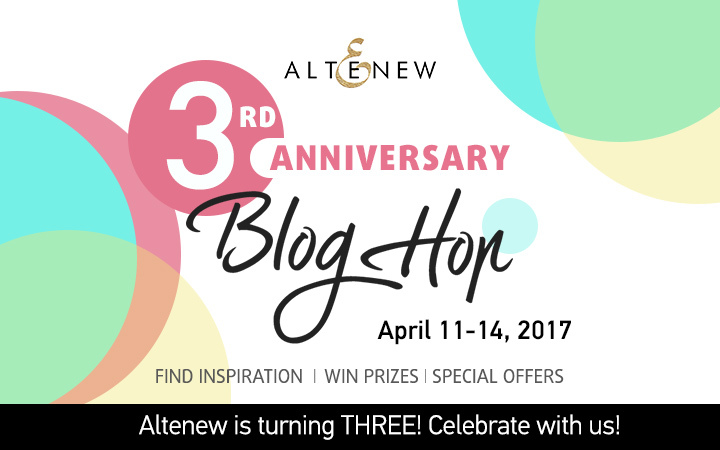 In celebration of these past three years, Altenew is hosting a special four-day blog hop! With four days, you know there is going to be so much Altenew inspiration heading your way from many talented designers! There are also prizes up for grabs, and even a shopping discount code. All these details will be listed at the bottom of this post. This particular line of India Inks come in 24 colors; both Set 1 and Set 2 each contain 12 colors. Are highly pigmented, non toxic inks. 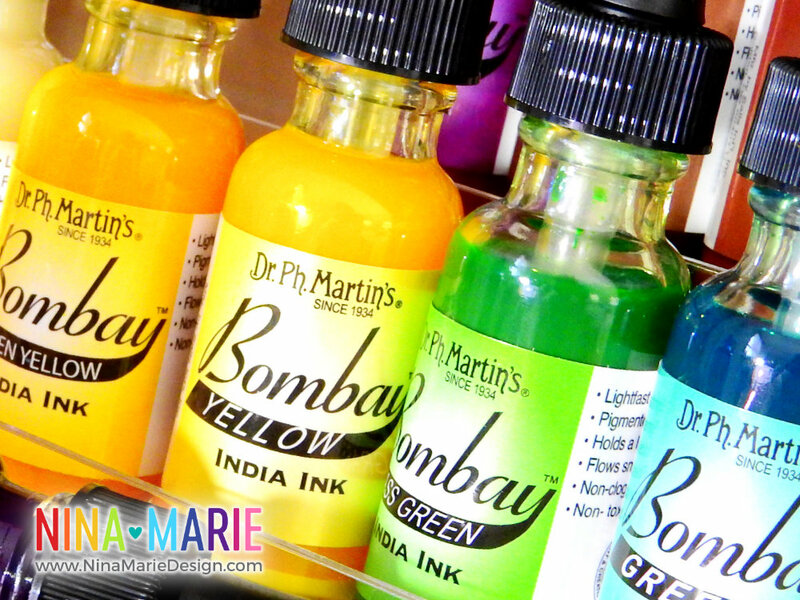 Ph Martin’s India Inks are completely waterproof when dry. Once the ink has dried, you will not be able to reactivate it. 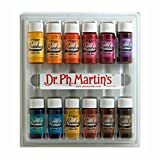 All of these Ph Martin India Inks are transparent inks except the white and black inks. These are the only opaque colors in the India Ink line. They will dry up when exposed to air. I recommend keeping the bottles closed up when not in use. Colors can blend together when wet. Once dry, they layer beautifully because they are transparent and waterproof. I have a video featuring how I store my Ph Martin India inks, instead of in the plastic open-mouth bottles they come packaged in. Be sure to check it out to learn more! 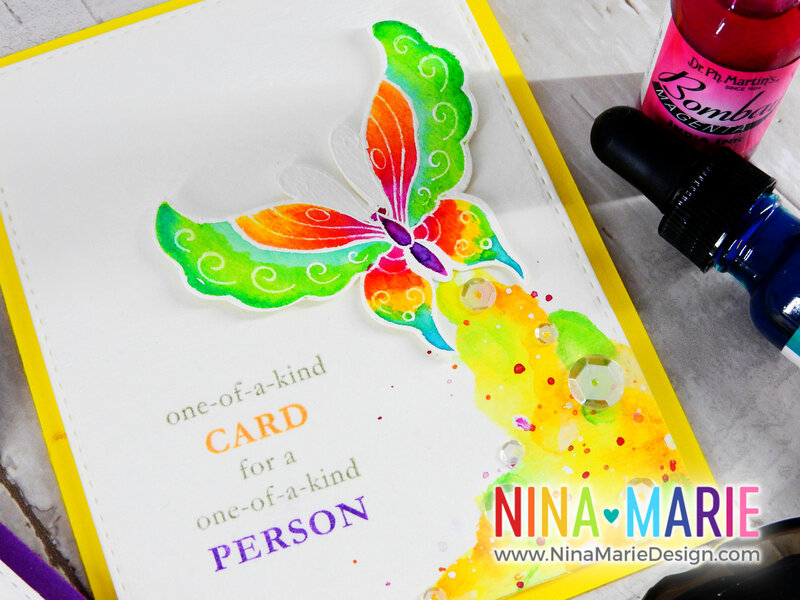 I watercolored the butterflies that are on my cards with the India inks, as well as the color trail following them. Because these inks layer beautifully together I was able to achieve some really great effects for the color trail. 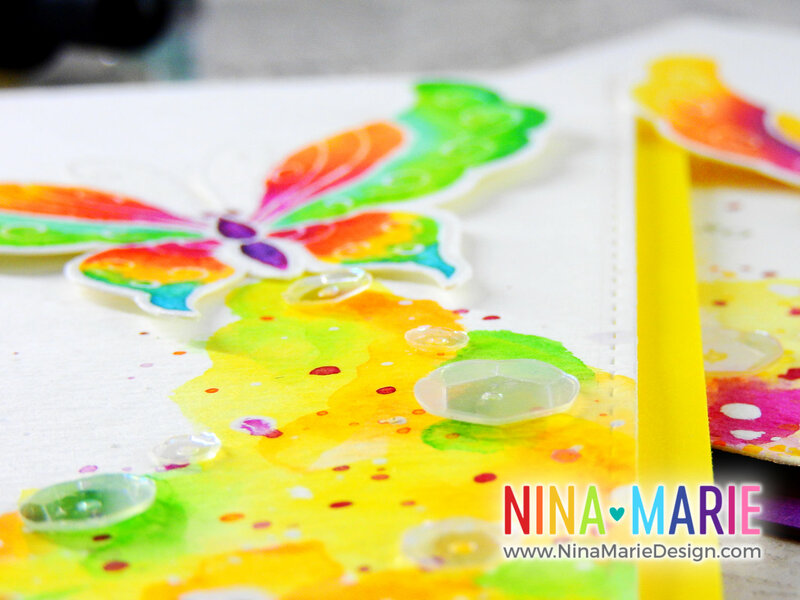 The butterflies illustrate how easy it is to blend the colors together. In my video, I only showed the creation of one of these cards since they both were created the exact same way. The only difference between the two cards are the color choices. I used a semi-rainbow color palette for the butterfly above, and a warm color combo for the butterfly below. I hope you will be checking out the video below to see the India ink watercoloring in action! Also, be sure to participate in the Altenew 3rd Anniversary hop… you will be sure to have lots of fun seeing all the beautiful projects created by the designers that are participating! Details are below. Altenew is offering two coupon codes this week in celebration of their 3rd Anniversary! Be sure to leave comments by Tuesday, April 25, 2017 at 11:59 PM EDT for a chance to win! 15 WINNERS will be chosen at random from the comments left on any of the blogs listed below and will be announced on the Altenew blog on April 28th, 2017. OMG! I love…this. It is such a beautiful card. This has inspired me, I can’t wait to get the India Inks. 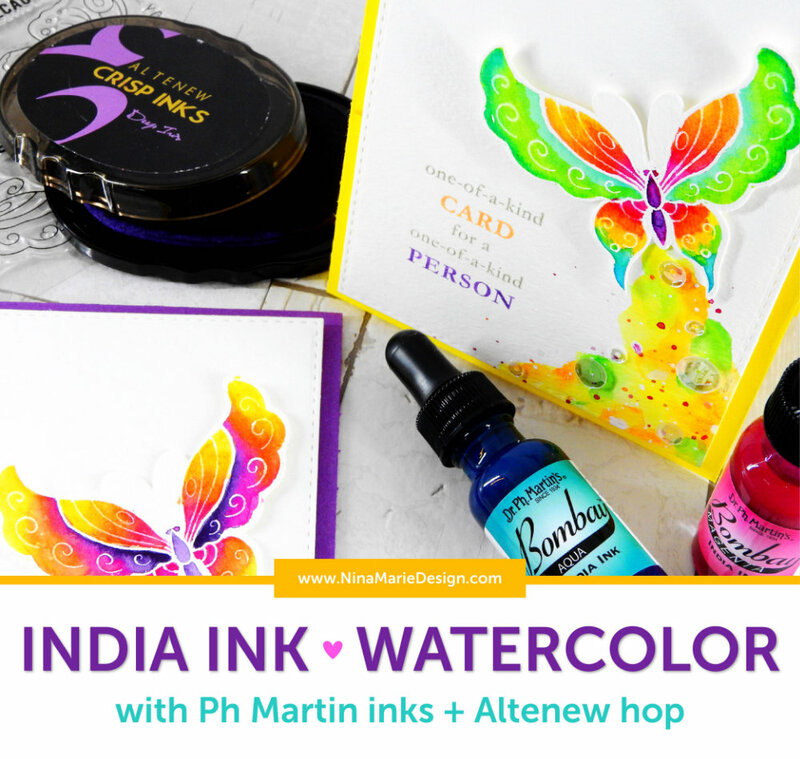 Both color palettes look great, Nina-Marie, and I appreciate the details on PH India inks. Your creations are always amazing. What a fun hop! 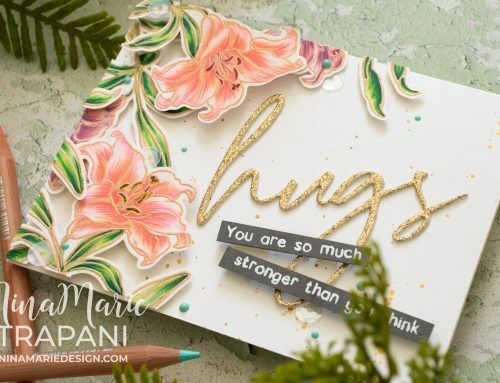 OMG, love the vibrant colors on this card! super coloring, and so beautiful card!!! WOWIE! After going through the blogs, I came to yours and what a pleasant surprise. All of the others were nice, quiet and delicate. When I got to yours, I saw color. And . . . the first thing I noticed was a big picture of ink and saw the word “Bombay”, I thought, yes, this is the bomb, awesome colors. What a great job. In my opinion, best blog for last. It was a nice way to end the blog hop for me and now I’m ready for the day. Those colours got my heart racing! I am now on the hunt for India Inks, I have only black but these colours coupled with your design are absolutely breathtaking! Wow! I love these colors and am going to have to get some to play with! Love the butterfly card! What beautiful, bright colors!! I love it! Fascinating video. The colors are really brilliant. Beautiful cards. Wow, love the vibrant colors on these beautiful butterflies! Oh my, your colors are gorgeous! You always inspire! WOW i have never seen these PH Martin India Inks. but they look AMAZING and so bright on the cards, just lovely. 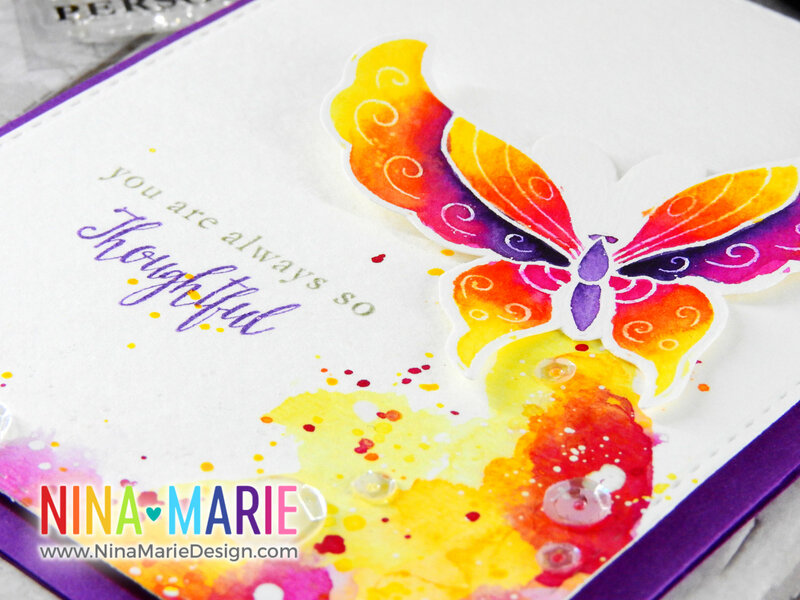 Love the vibrancy these inks have, gorgeous butterflies.